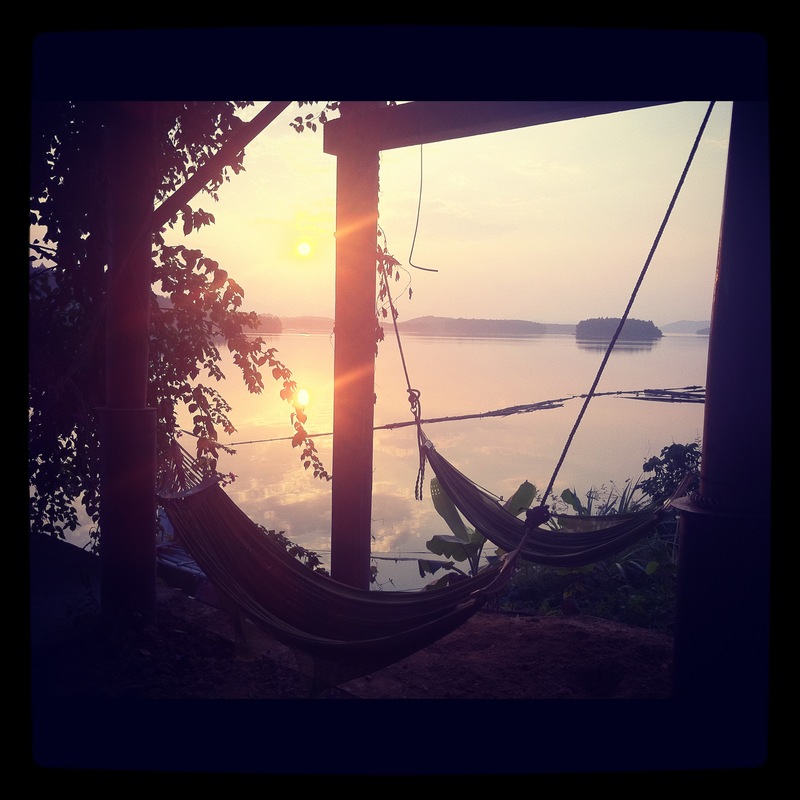 Colin Campbell's learning space | Ideas about learning, social entrepreneurship and digital storytelling. Ideas about learning, social entrepreneurship and digital storytelling. ‘Essay on Charlie Chaplin’, from What is cinema by Andre Bazin. 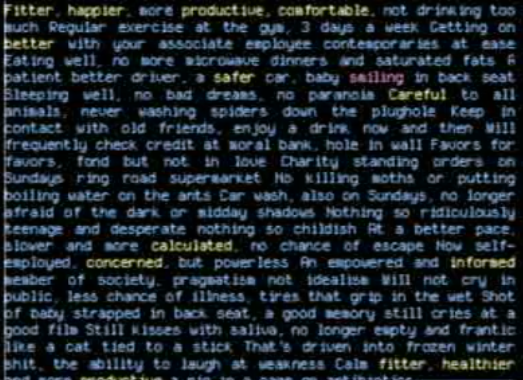 This entry was posted in Uncategorized and tagged charlie chaplin, ds106, gif on March 9, 2013 by Colin Campbell. I am delighted to be participating in our organisations’ first ‘edutech’ conference at Saigon South International School this weekend. Looking forward to sessions on open source software, digital citzenship and project based learning, but mainly just looking forward to chatting, sharing and learning with folks over the weekend. Will hopefully post some reflections here on the way home. 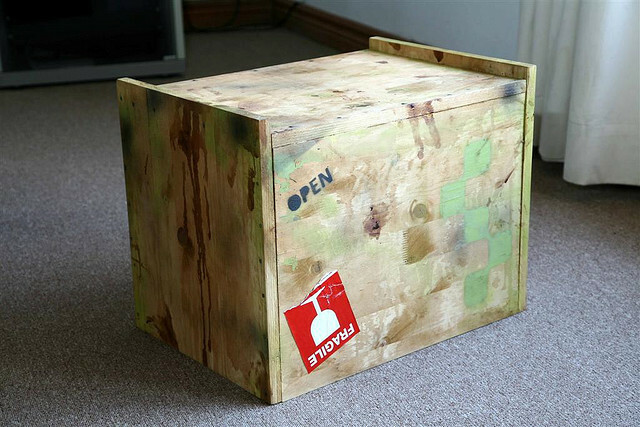 This entry was posted in Uncategorized and tagged #vtc2013, edutech, project based learning, saigon on March 1, 2013 by Colin Campbell. Festive loveliness to all – may your soups be soupy and your malts peaty. For proper animated gifs check out the beautifully distilled movie concepts at bavatuesdays.com. This entry was posted in Uncategorized on December 23, 2012 by Colin Campbell. 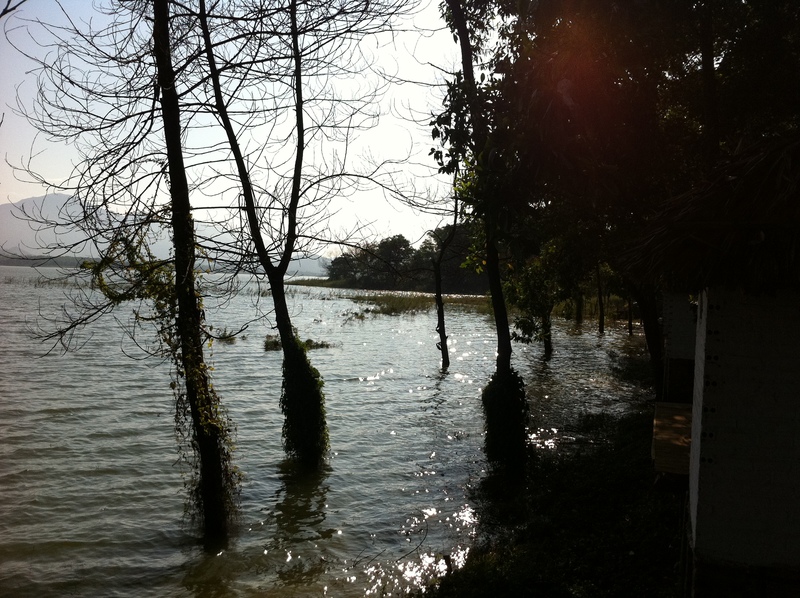 Hanoi is our home from home and to see people leave is very sad, but that is part of things. This beautiful leaving post by one of our community has pushed me to write this morning, to say goodbye and pay respect to the regenerative and re-inventive powers of our city. with a notebook, plotting all sorts of grand schemes. Dom is just the latest of many people we have seen arrive in one guise and leave under another, having followed an inclination and turned it into a way of living. Sometimes they move on, sometimes they stay and often they come back. Anyhoo – adios and good luck Mr Dom (and Ms Cat). Can’t think of a time I bumped into you both and you didn’t make me laugh. Look forward to seeing more pics from Berlin and you back in the bia hoi to tell us all about it. 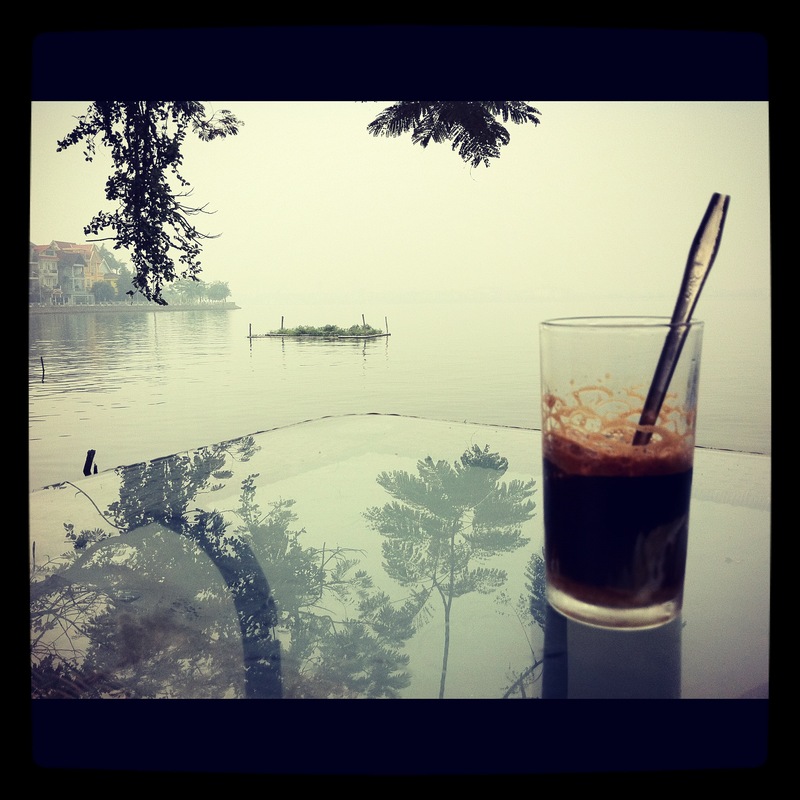 This entry was posted in Uncategorized and tagged hanoi, reinvention on November 20, 2012 by Colin Campbell. Not only is this the last show of the tour, but it’s the last show that we’ll ever do. The phrasing was deliberately ambiguous, but most of the audience and many London newspapers and magazines took it to mean that Bowie was retiring from music. In fact, he had killed off his Ziggy persona but not his music career. Now as reinventions go my decision to start again with twitter is hardly up there with the end of Ziggy Stardust, but the end of @ColinMcCampbell is about more than my use of a social network. I started with @colinmccampbell at an educational technology conference in Shanghai back in 2009. Assisted and encouraged by then colleagues @brianlockwood and @GenkiU I stumbled into this new arena. I attended sessions hosted by @ewanmcintosh, @mscofino, @cogdog & @dwarlick at the same conference and I was blown away by the openness and creativity of this community. The son of a gadget loving photograher I had grown up in a technology enhanced household and it has always seemed natural for me to bring computers into things, but this was different. They weren’t talking about technology they were talking pedagogy, community and revolution. The conversations I’d wanted to have for years as a teacher were happening and were being pushed by educational technologists. So as @ColinMcCampbell I started blasting away on twitter, edublogs and then wordpress. I wrote about educational change and tried to be as open as possible, following the example of @ewanmcintosh using my real name (or as close to it as I was permitted, there are a million Colin Campbells) and looking to engage with others. I built up a network, of sorts, on twitter and through my blogs and on the advice of Stephen Downes in this post did my best to share, to be open, to engage and not lurk too much. This was hard though, it was difficult to do more than support the comments of others especially in the forums, discussions and blogs I was drawn to and finding your online voice is hard especially amongst more experienced peers. Then I wondered into the open online digital storytelling course called #DS 106 and I started to rethink (as is the goal of the course) my digital identity/ self/ selves. Two conversations stay with from this experience. One was with the organiser of the course – meddler in the middle – Jim Groom. Jim had kicked the course off as Dr. Oblivion and ran the first few sessions under that adopted persona. He tweeted and blogged as him as well. In the midst of the above exchange I then started to think, is Jim messing with me now? 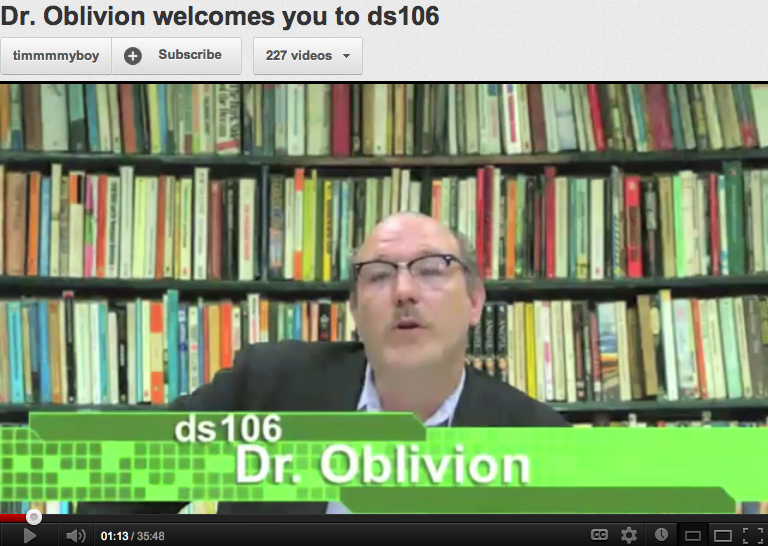 Jim Groom or Dr. Oblivion? Amongst this I had developed an unhealthy obsession, perhaps fuelled by my own procrastinations, with the films of Charlie Kauffman – so layered, potentially unreliable narratives was very much in my mind anyway. I was befuddled as to to what to do with all of this? I was thinking, what do I want my online identity to be? What manifestation of myself? What is my identity as a teacher? As an educational blogger? As someone trying to start a socially responsible education start-up? I was becoming increasingly dissatisfied not with what I had been saying but the way I had been saying it. Whole parts of me were being left out. I then read this excellent confessional blog post from @BrianLamb and nodded along in agreement. He seemed to find a new lease of life by venting his frustration with dialogues he connected with conceptually but just couldn’t get excited about. This post was, for me, about not letting the communities and conversations you are part of dictate the mode and nature of your expression. #DS 106 reminded me of how much I like to make things, my fondness for movies, storytelling and subversive, sweary conversations. Sure we get these things from other places but we want our digital selves to be true don’t we, or honest at least. 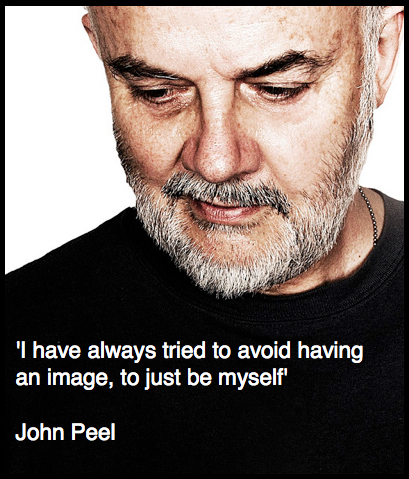 And so as we come back to an almost depressingly simple truism that I heard the John Peel say when asked about the secret of his longevity on Radio 1. He acknowledged, grudgingly, that not having an image is an image in itself, but there was something about his honesty that would keep you listening, even when he went an hour without playing something that you really liked. Thankfully there are good people making sure for all we still miss him terribly, we can still enjoy his music. So how does all this relate to Ziggy Stardust and ColinMcCampbell and digital identity? Well I’ve decided to let the manifestation of me that was ColinMcCampbell go. Why? Well because he mainly just jumped into a communities, had a look round, broadcasted from a soapbox and then left. If our habits create our digital identities he meant well, but he got things wrong. My digital selves are splintering anyway with the development of this blog on our project’s website where I will write about learning and through my involvement in PechaKucha Hanoi which has been a great way to reconnect with the city and the creativity of the community here. So, here is what @colinicampbell is going to try to do. Now I did say try, as we all need to get on the soapbox once in a while. This entry was posted in Uncategorized and tagged digital identity, digital selves, ds106, john peel, reinvention, twitter on May 16, 2012 by Colin Campbell. 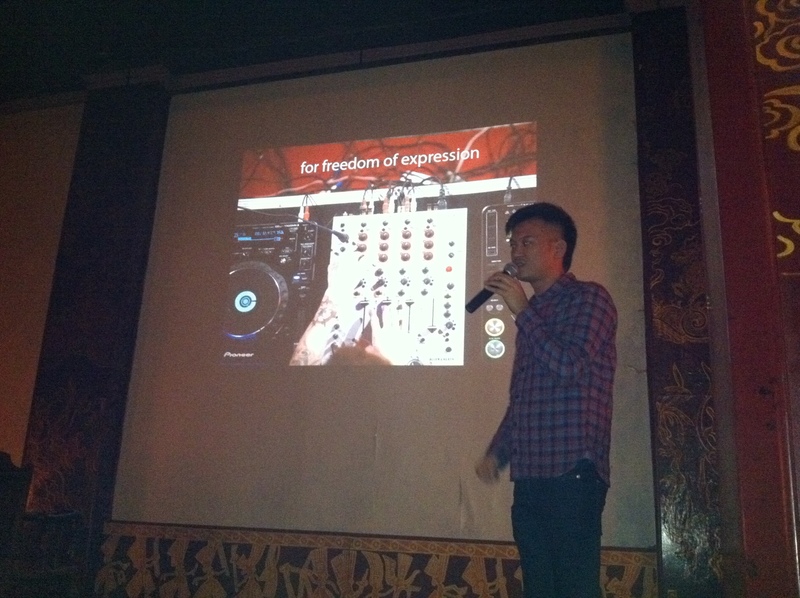 Our hope for PechaKucha Hanoi was that with an open approach and the inherent flexibility of the 20 slides x 20 seconds format we would be able to tempt some of the creativity lurking shyly in the corners of our city out into the open – and so it has proved. 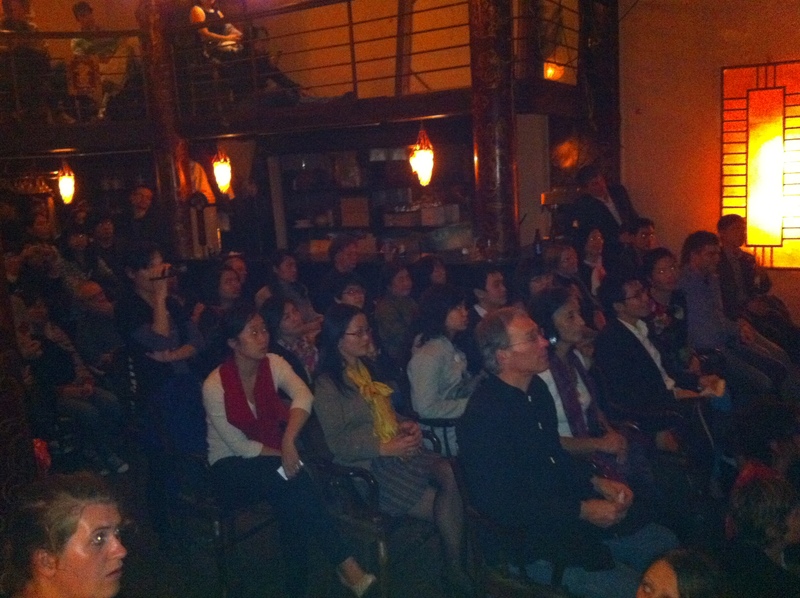 Over the three events there have been almost as many styles and subjects as we have had presentations. 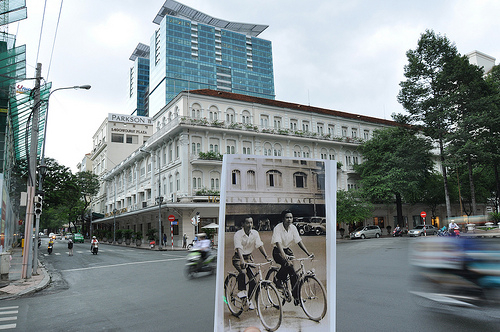 We have seen Hanoi photostories, the outing of secret passions and several personal accounts of how and why people create their art, music, films and enterprises. We have also, pleasingly, seen our presenters push the format in different directions including using images with sign language, a single visual concept repeated, a bilingual pictorial poem and some musical experimentation. We welcome these innovations and look forward to seeing how our next set of speakers will engage with the growing audience (more than 250 at the last event) at our next event in mid-May. We do feel we can do better in reaching out to different sections of the local community though. 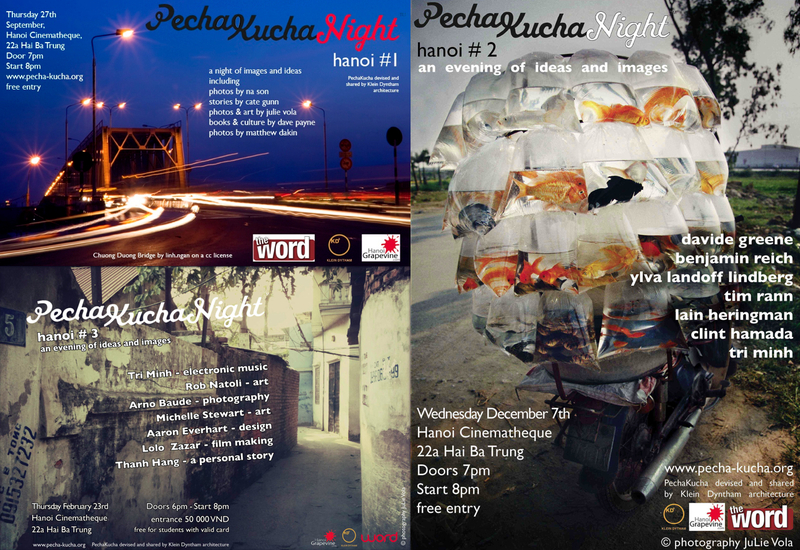 Our most important goal for PechaKucha Hanoi is for it to be a community event for Hanoians of any background or culture to share ideas and this is a work in progress. We saw in the last event two bilingual presentations and we hope for more of that from both native and non-native Vietnamese speakers. We owe a huge debt to our hosts at the Hanoi Cinematheque for helping us create a warm and open atmosphere for the three nights we have run. By helping us to set up two screens, we have been able to offer different ways to experience the event. In the main room with the presenters or, in the courtyard closer to the bar. 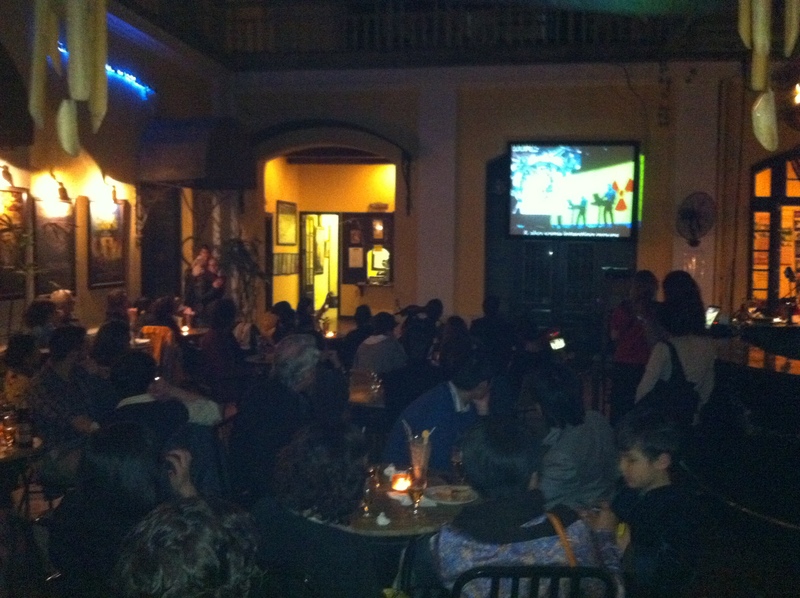 PechaKucha Hanoi has been a pleasure to organise as we have had so much support from the local community. As well as our gratitude to all our plucky speakers special thanks go to photographer Julie Vola for her help with the wonderful flyers and @lissgriffin for pushing buttons, fixing slideshows and for being at the end of the phone. We have also had great support from both the Word and the Hanoi Grapevine as official media sponsors and are also very grateful to @Hanoi_Ink, @TheComicalHat and @StickyinHanoi for keeping the Hanoian twitterverse abreast of our activities. Based in Hanoi and keen to present? Our next event is scheduled for Thursday the 17th of May and we are are looking for a few more speakers to add to those that have already signed up. Remember you can talk about pretty much anything – email us (see sidebar) with your ideas and we will get back to you. To help us record and run event we are looking for someone to take photographs and help set up and run the two screens. We are also looking for a volunteer to help us with graphic design and the building of a website. Please drop us an email and we will add you to our mail list. We welcome feedback and ideas for future events that you can either post in the comments section of this post or email us. 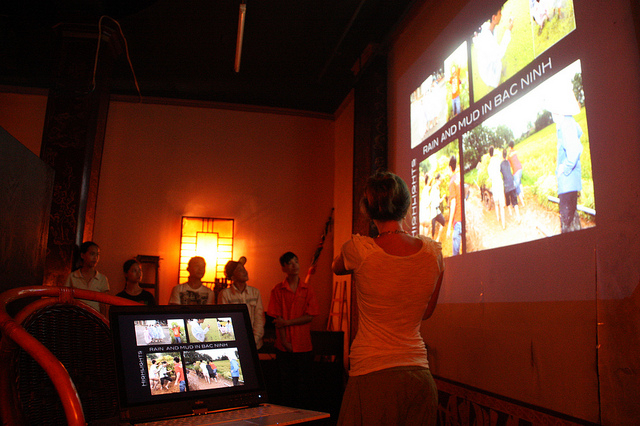 This entry was posted in Uncategorized and tagged arts, creativity, hanoi, PechaKucha on April 6, 2012 by Colin Campbell. If we want to break the cycle of endless ineffective educational reform we need to look to new models of learning, what Clayton Christensen labels, ‘disruptive innovation’. While I do not agree with all of the arguments in his book ‘Disrupting Class’, his basic premise is both a compelling and a liberating one. Never has the need for alternatives to traditional models of education been more pressing. New models for learning will not solve all of our societies’ problems, but if we are to escape the unsustainable economic and environmental situation we find ourselves in then it is a good place to start. 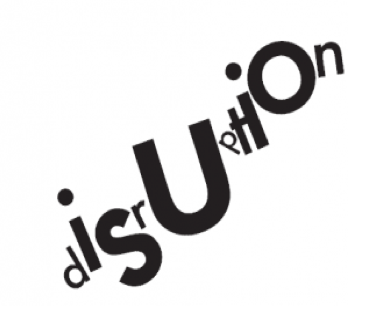 What are the features of disruptive innovation in education? Building on Christensen’s call for disruptive alternatives and adapting ideas from the research of Charles Leadbeater, nicely summarised in this Ted Talk, I think the following is a useful set of questions to help educators reflect on their projects, courses and institutions to assess the effectiveness of their innovations. (a) address the destratification of society? (b) have curricula that focus on real world problems and questions that emerge from them? (c) have a pedagogical approach including the system of assessment that supports the curriculum focus on problems and questions about real world problems? The idea for using a set of questions as a reflective tool for sustainability comes from the unlikely source of Walmart who asks their suppliers these 15 questions. How will asking these questions help? We need to be innovating in ways that enable more people everybody to access high quality learning and we need more educators engaged in this challenge hence the need to ask question (a). Expensive tuition fees and high stakes content focused examinations are two enduring obstacles to developing a culture of social sustainability in schools. We urgently need more educators disrupting the current patterns of access to learning. I should make it clear that I do not expect a set of questions or any single reflective process to send large numbers of schools and universities rushing to completely rethink their approach. However, what I do predict is that we will see an increasing shift by progressive educators towards smaller disruptive projects that will broaden the options open to learners at all levels of education and, eventually, change the entire sector. What are the learning projects that demonstrate the type of disruptive innovation being proposed? As Charles Leadbeater points out in his talk some of the most disruptive and transformative innovation taking place in education is being pioneered by educational social entrepreneurs in the developing world. People like Rodrigo Baggio who started CDI, an organisation that took computers donated by corporations and started learning centres in the favelas of Rio de Janeiro and has now grown to 13 countries or Madhav Chavan, who started Pratham, or Sebastiao Rocha, in Belo Horizonte and Sugata Mitra with his hole in the wall project and what I think he correctly identifies in all of these projects are attempts to marry a practical problem based approach to learning with innovative uses of technology. What if i am in the developed world, are there examples from there? So are you suggesting I need to leave my job in a conventional school or university to disrupt the education system and help build more sustainable models? While a start-up mentality does seem to be increasingly appealing to progressive educators, for many this is a step too far so instead they attempt to disrupt from within. I would put the courses like CCK11 by Stephen Downes, George Siemens and the inventive #DS106 run by Jim Groom in this bracket. Their open online courses are for me not just pedagogically and creatively interesting, but also economically as they involve a combination of fee paying students taking the courses in their universities with open participation to anyone with an internet connection. By experimenting as they are doing, they are finding ways to push the bricks and mortar universities with their financial barriers to participation in new and interesting directions. Another two educational disruptors who run bold and innovative projects are Vicki Davis and Julie Lindsay. In their Flat Classroom Projects middle and high school students from different places work in small teams using collaborative and creative technologies to tackle important real world problems. This type of model that uses accessible digital tools to enable students from different countries to collaborate on projects is a good example of the potential of disruptive educational innovations by those working within conventional schools. And while still in the early stages our own organisation The Learning Project Asia came into being in order to address issues of access and sustainability in education. Our approach is to work in partnership with schools, universities, companies and development organisations to develop learning projects that focus on real world problems. We just finished our first project that you can learn more about about here. In part 2 of Disruptive Innovation. A guide to a more sustainable approach to learning – I look at the role of technology in building disruptive learning projects. This entry was posted in Uncategorized on April 6, 2012 by Colin Campbell. 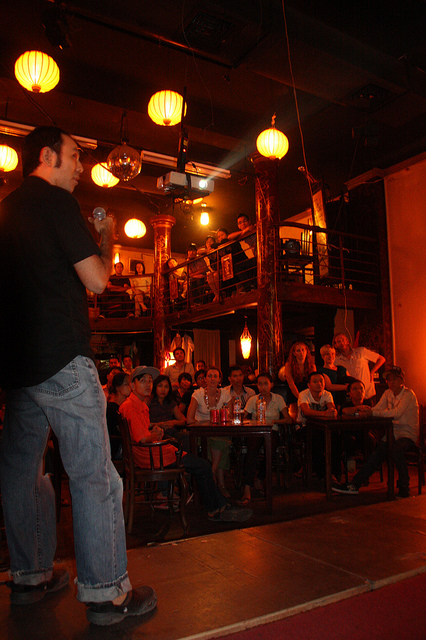 Colin Campbell is one of the organisers of PechaKucha Hanoi. Please get in touch via this email address if you are interested in presenting at a future event or follow us on twitter. Colin Campbell's learning space by ColinCampbell is licensed under a Creative Commons Attribution 3.0 Unported License. Based on a work at learninthecloud.wordpress.com.